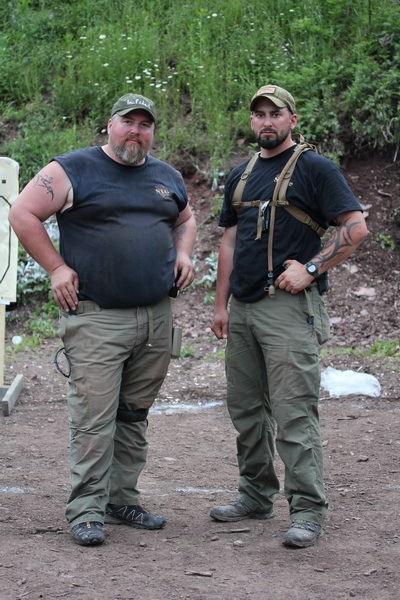 AAR: Warrior Pistol 1.0, Tom Kier, May 26/27 (2012), Mt. Pocono, PA. I came into this class knowing that it will be a “integrated system of fire” course. 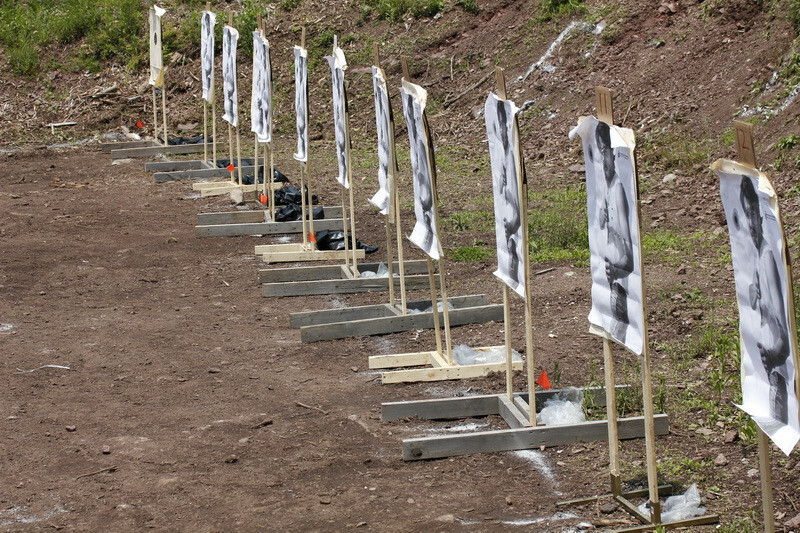 I knew there was going to be a lot of 25 yard shooting, a lot of precision/bull’s-eye shooting as well speed-related precision at 7/10 yards. This was not a million round count type of class, but a class with specific goals and standards, which are tough. I had shot with Tom Kier before and knew how he instructs, the level of detail and examples provided were excellent. The class revolved around the “mindset” of someone who would employ the skills which were taught. 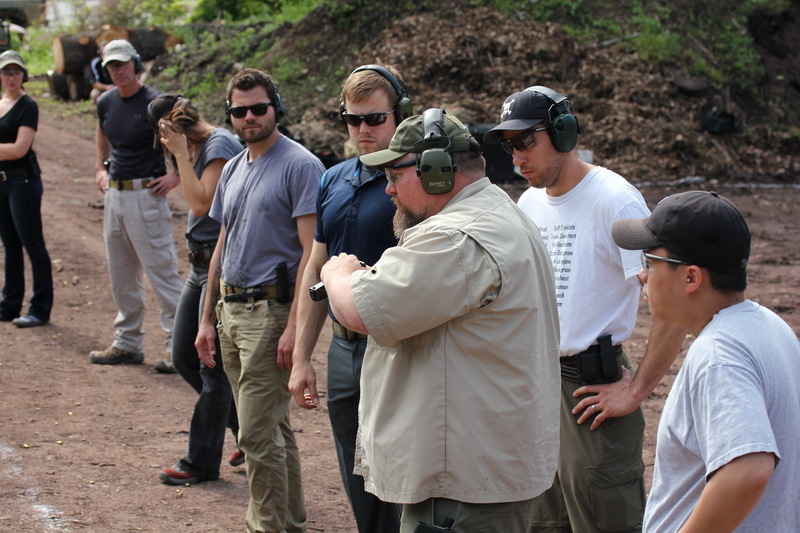 This class was as much about shooting as it was about the mindset behind shooting. I will not go over everything that was covered, but give a brief outline of my personal opinions and experiences. Arriving at the range it was in the high 70’s everyone setup and got ready for the day. We went over a safety brief, designated the tacmed people/equipment and identified the “north pole” as a cold zone for gear. 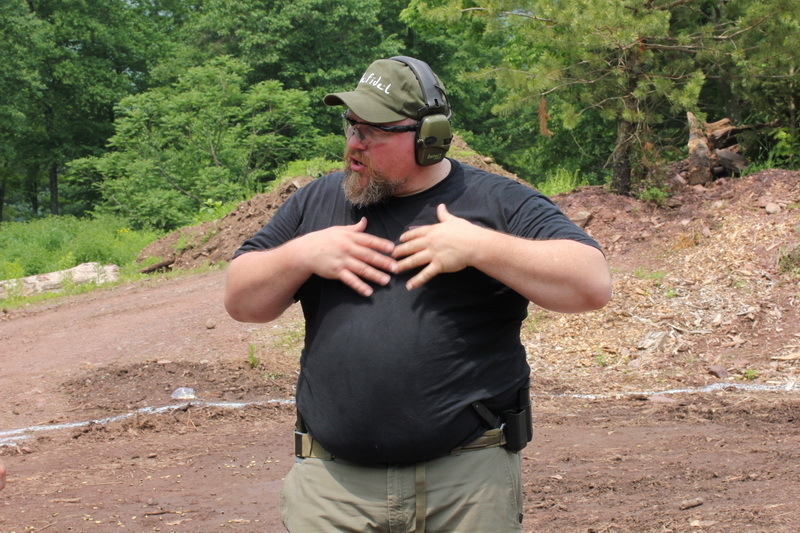 Tom introduced himself and the concepts of Warrior Pistol 1.0, detailing a brief outline of what was going to be covered. 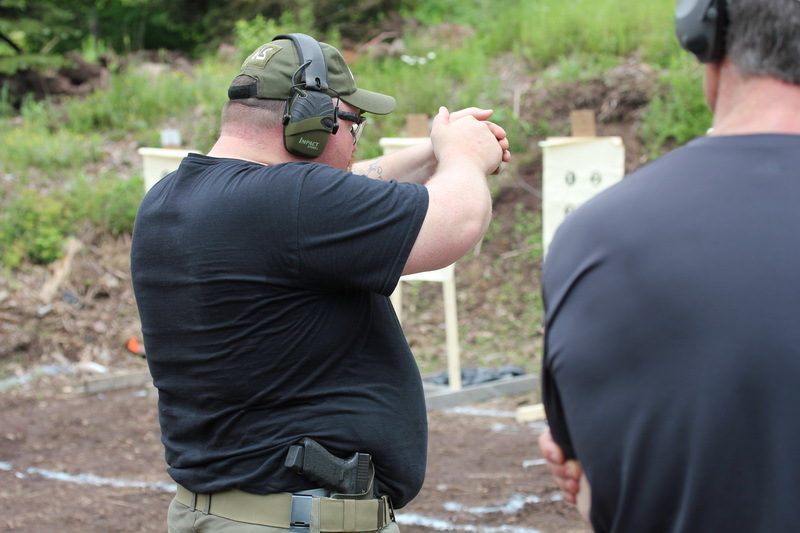 This class is taught as an “intro” class which focused primarily on “integrated system of fire” which were referred to repeatedly throughout the course. One concept which was explained early on was that all data will be recorded and compared throughout the course. Each and every drill which has a time or score associated with it will be used to track the progress, which is excellent. 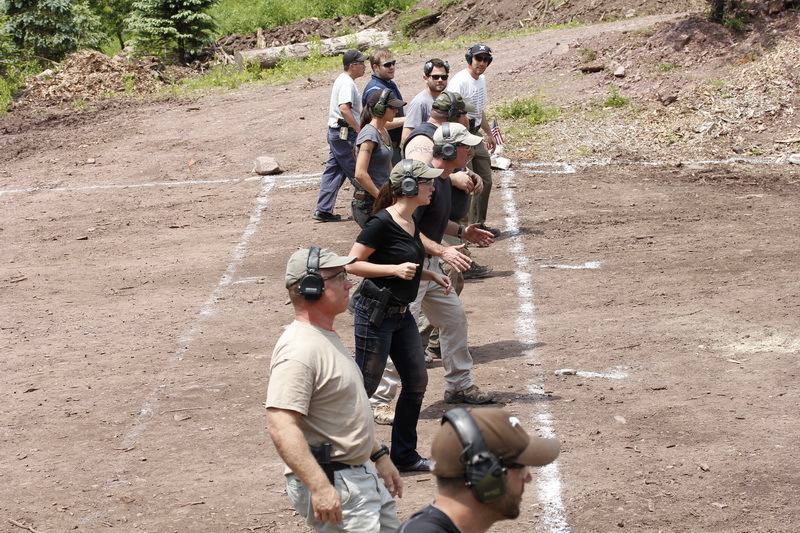 We ran a “200” which is a benchmark for precision of a shooter from the 25 yard line. This gave us a starting off point. Tom told us that we will all run a “700” for the specific purpose of getting data, and all the drills/skills we will be picking up along the way in the class will help us towards that goal. 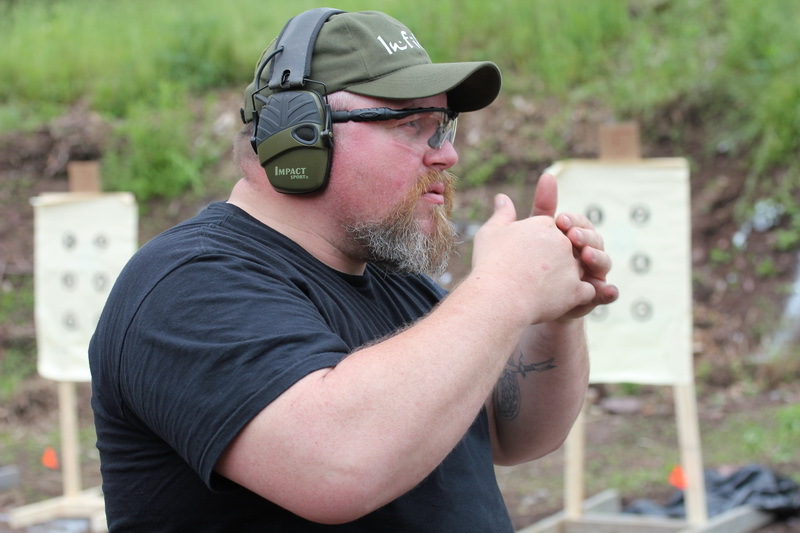 We went over some basic concepts which included a breakdown of the draw, reloading and shot placement. 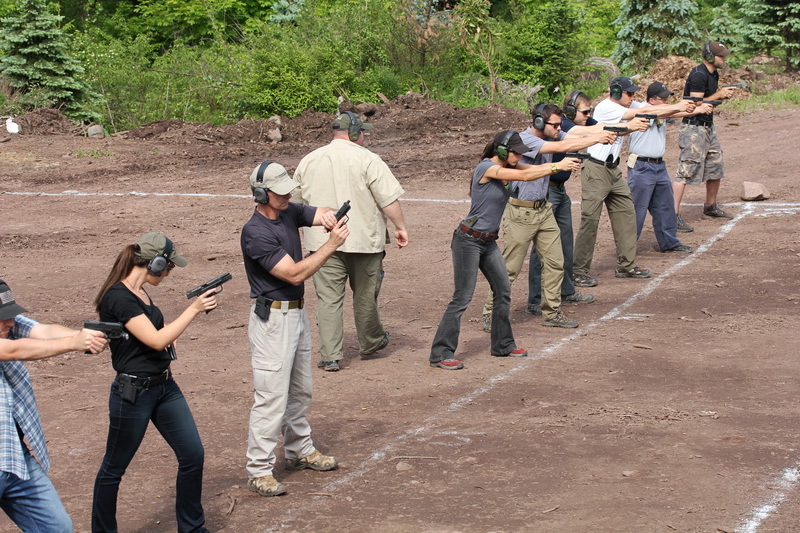 All the concepts were explained, demonstrated and we ran the drill. 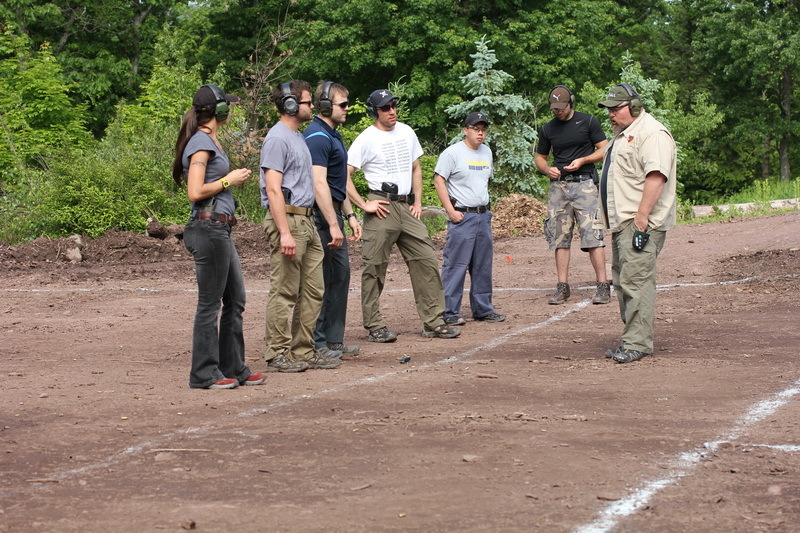 If one of the students had an issue or was not running the skill properly then it was pointed out by Tom or Jason (one of the instructors). One part this class which came out primarily during lunch on the first day was the “mindset” talk given by Tom. 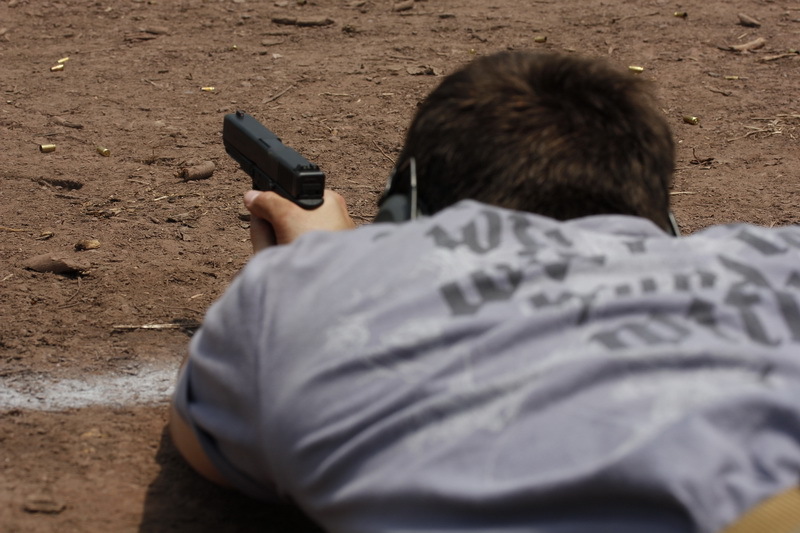 The concepts are not foreign and they should be given great consideration by those who carry a firearm. Tom spoke about the readiness triangle referring to a person being able, willing and prepared. I have heard this before, but it is always good to hear it again. Many of the students have never heard it before and I could tell that some had an "eye opening" experience based on their reactions. We did more of the precision work, really hammering it home with running the integrated system of fire over and over. 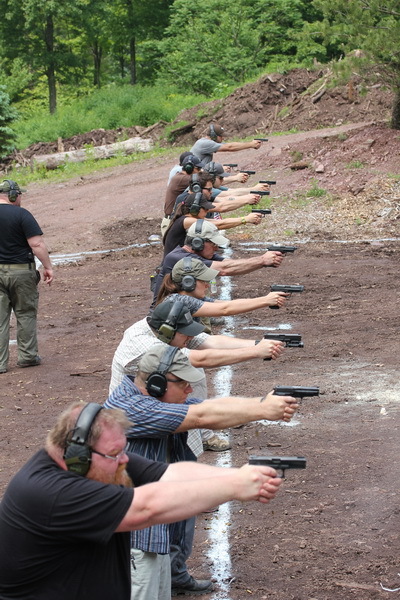 We did some trigger work, which was great. During the second half my G17 kicked the rear sights loose. Turns out it was a bad install (which a local place did two days prior on the gun), so it was down for the count and I ran my G19 for the rest of the day and the class. 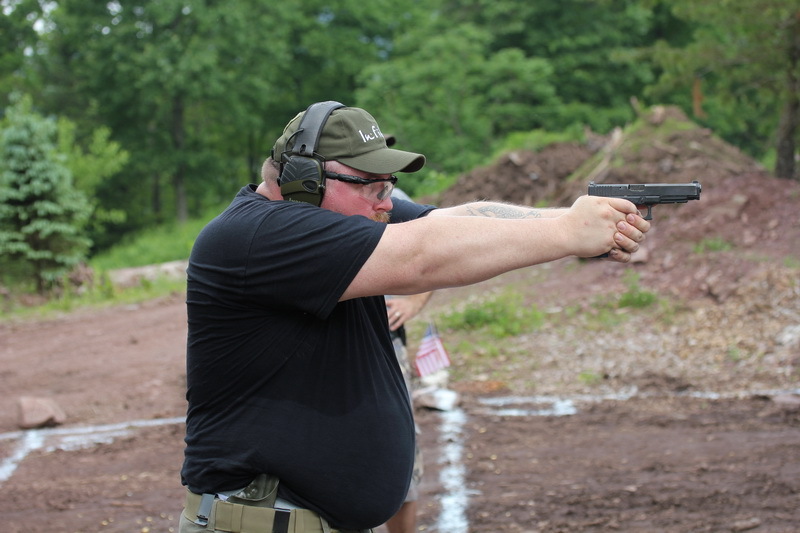 Since I was used to the G19 more so then the G17 w/ the NY1 I ran some the drills better and had better accuracy starting on day2. Towards the end of Day1 it started raining just as we finished up, and everyone came out to eat. 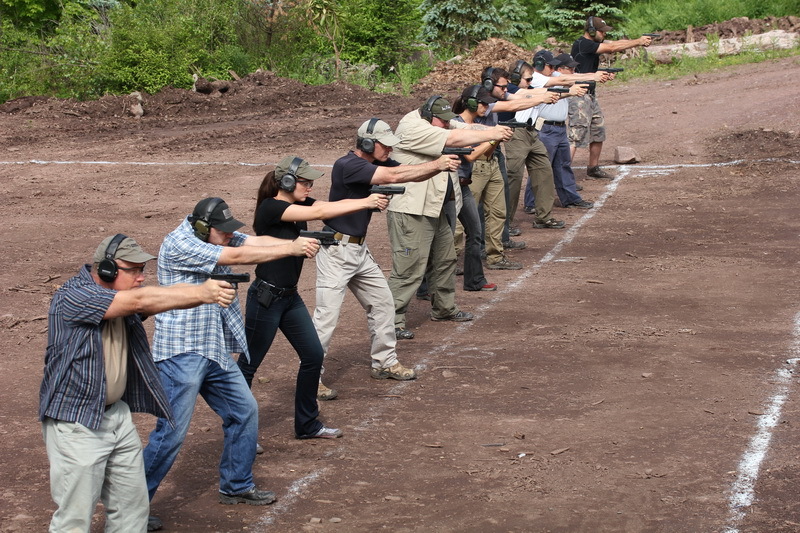 It was a good time, as could be expected, the students that show up to these classes are normally of the same mindset. 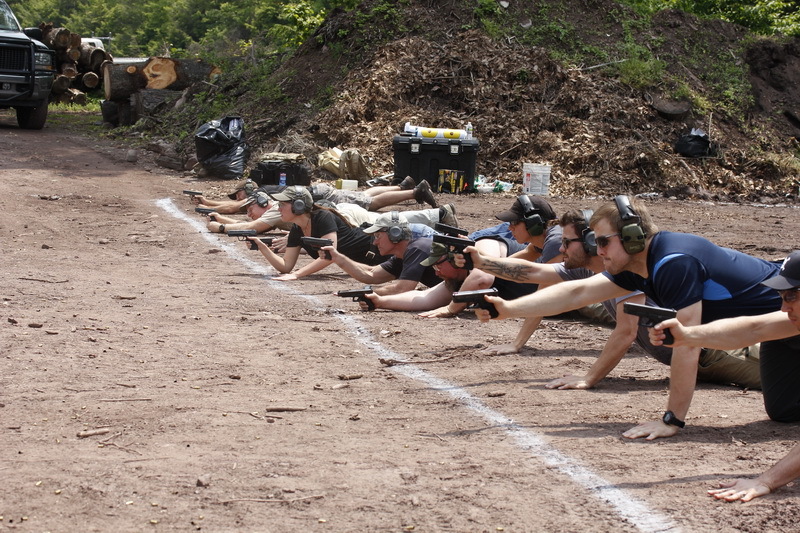 This was the warmer of the two days, starting off in the 80's and working its way into the 90's, it got hot and we ran through twice as much ammo on this day as we did on day1. We started off doing some precision work. 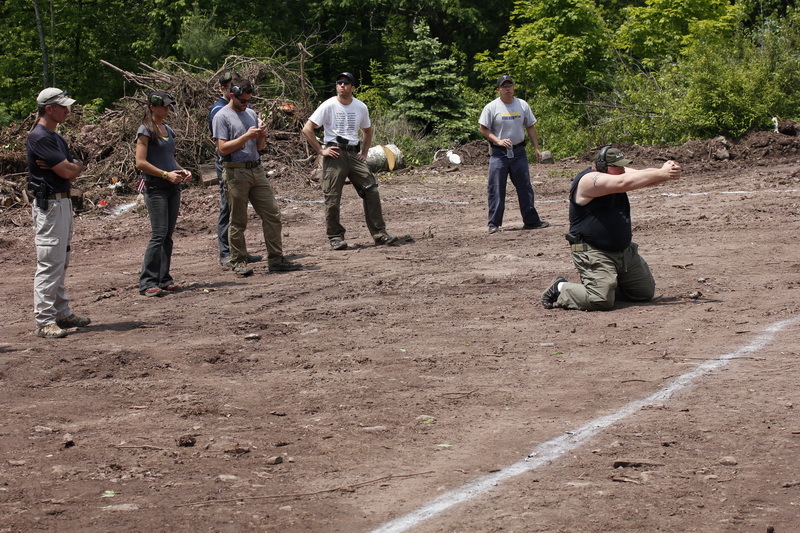 Tom talked about getting good precise hits on target, utilizing proper grip. We got into shooting, a lot. 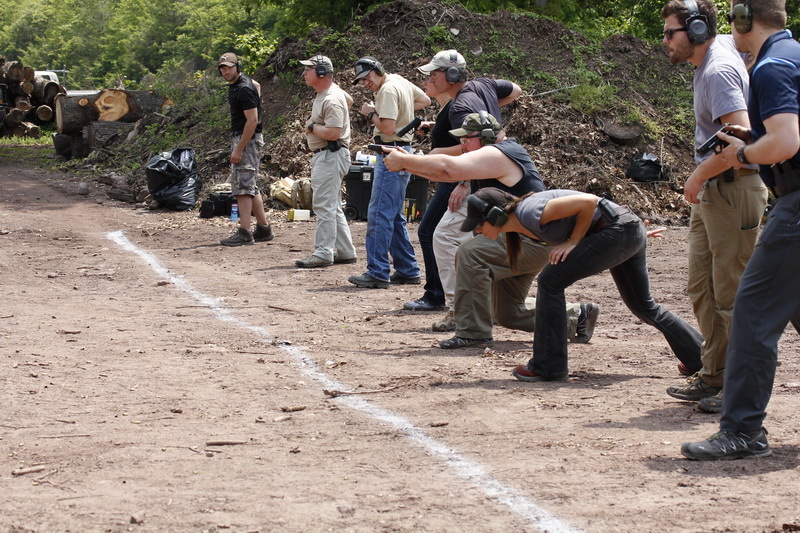 Running timed drills, re-running the 200 along the way a few times and debugging our shooting styles. Tom would go over a concept, explain it in detail, show up its run then make us run it until we got it. 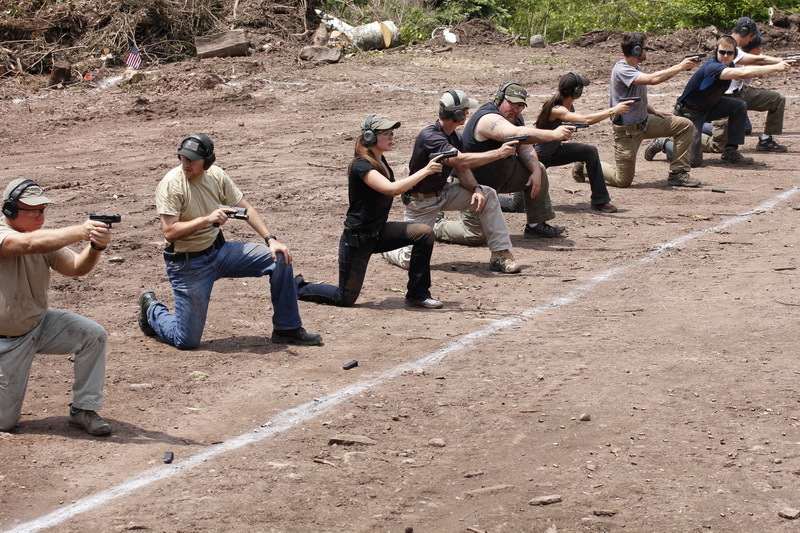 After we ran those drills we got into position shooting, getting us setup for the 700, kneeling. 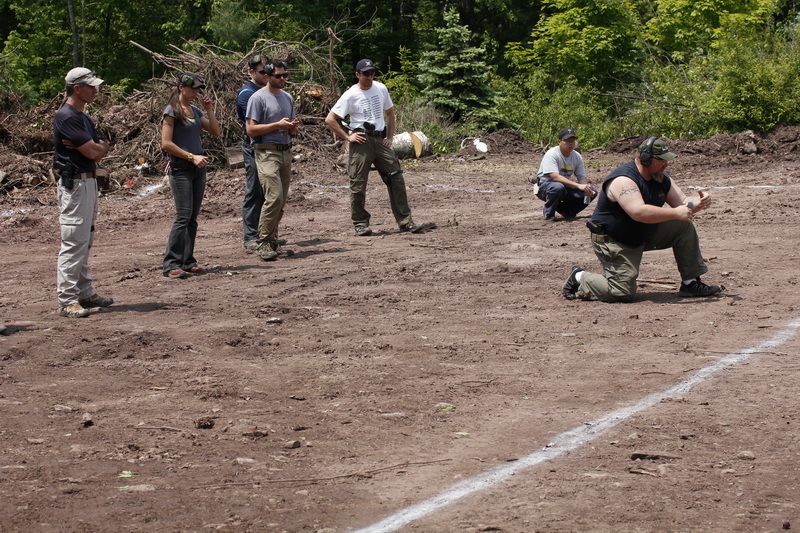 We brushed off all the rocks and brass, then got down to business. Scanning on every level as we are getting up, making sure there are no ninja's in the woods. 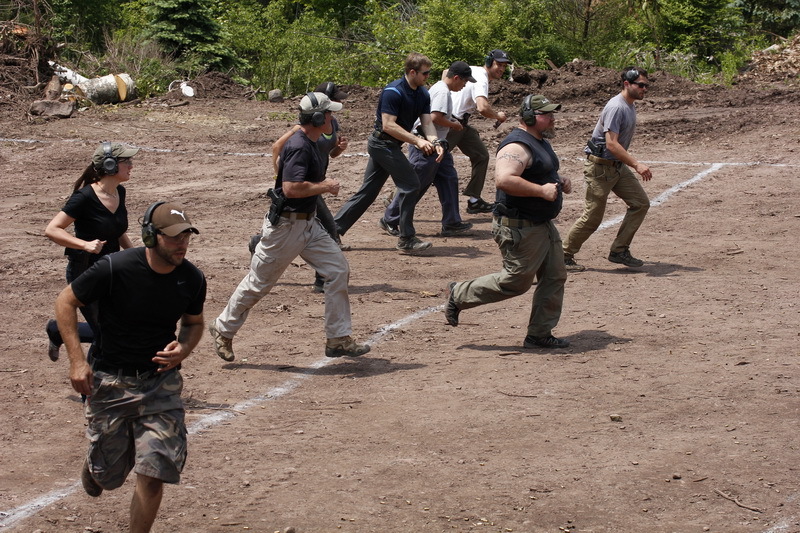 One of the best parts of the course was the integrated scenario work, which came along with the "warrior" moniker. 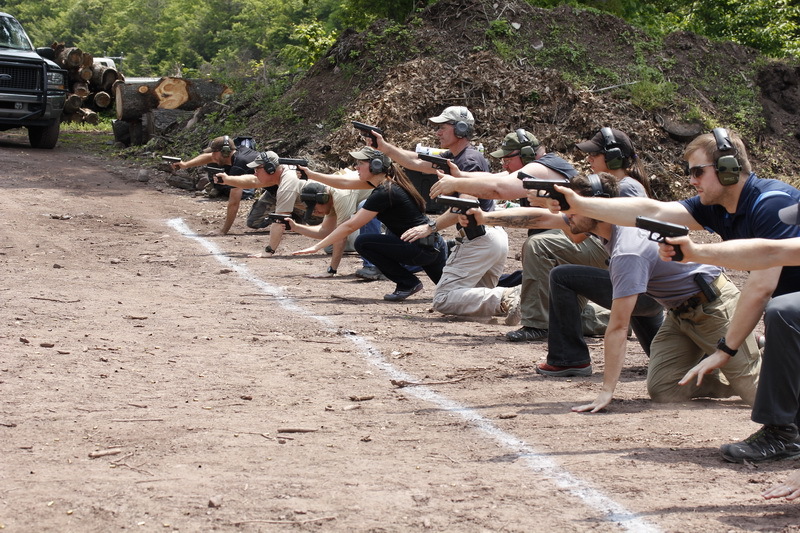 We went through the 700, scoring as we shot every 10 rounds to see what was going on. We had a really good class of students so everything ran quickly. Tom finished off the last day with having us run a competition for awesome stuff. By awesome stuff I mean blades + sheaths of course! 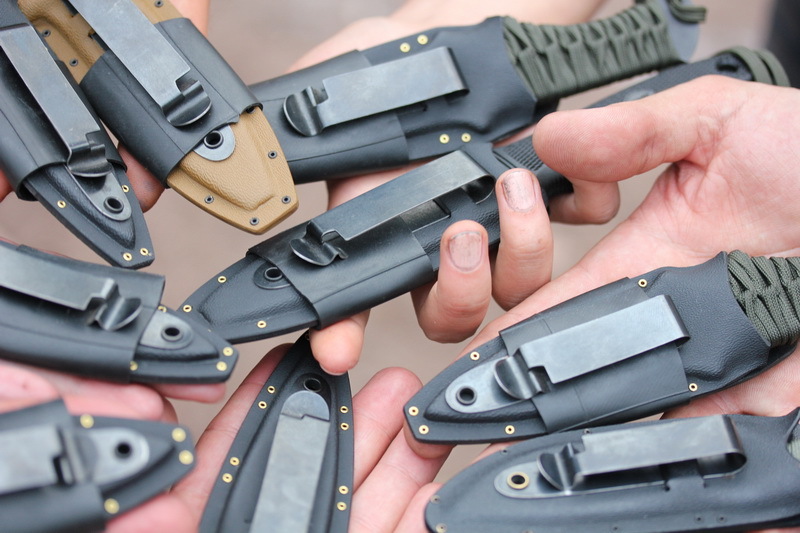 The kydex sheaths were provided by Nick at bladerigs.com - best kydex for blades ever. I will not say which blades were given out, you can pretty much figure it out for yourself. 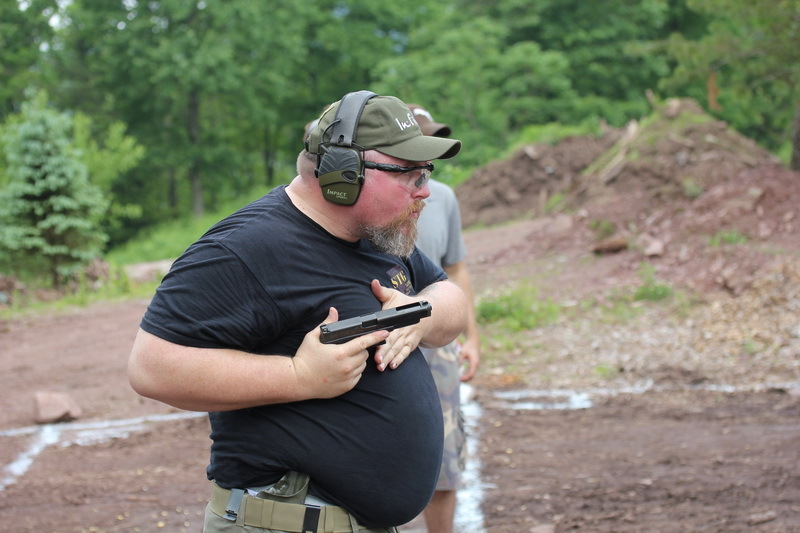 I took a modified cold steel brave heart in a kydex sheath home after putting down the fastest clean run time on the hostage rescue target, still not fast enough to make the instructor standard though. 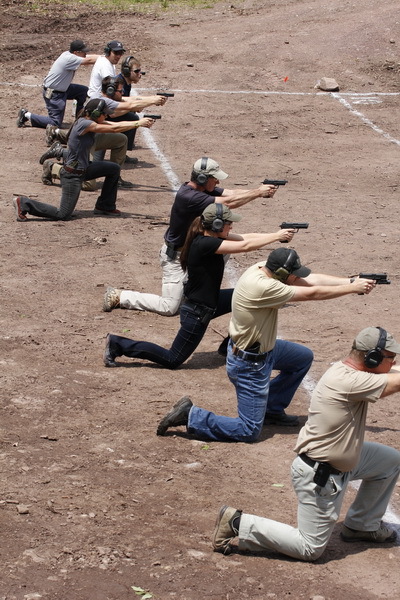 I have been through many pistol classes, that is not to say I am experienced in training or shooting, it just means I have seen many teaching styles for pistol shooting. I can say without hesitation that Tom explained everything, demonstrated everything and expected more of us than we expected of ourselves. 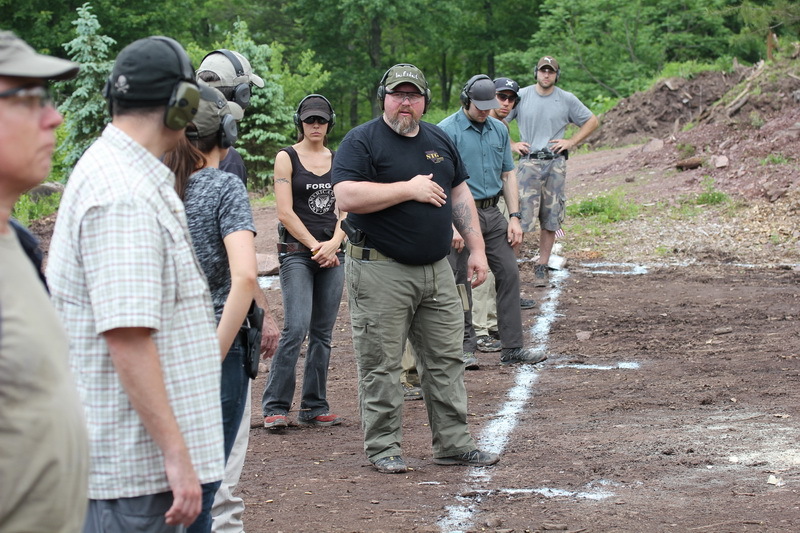 The concept of this class, "Warrior" was integrated seamlessly into many aspects, especially the mindset portion. 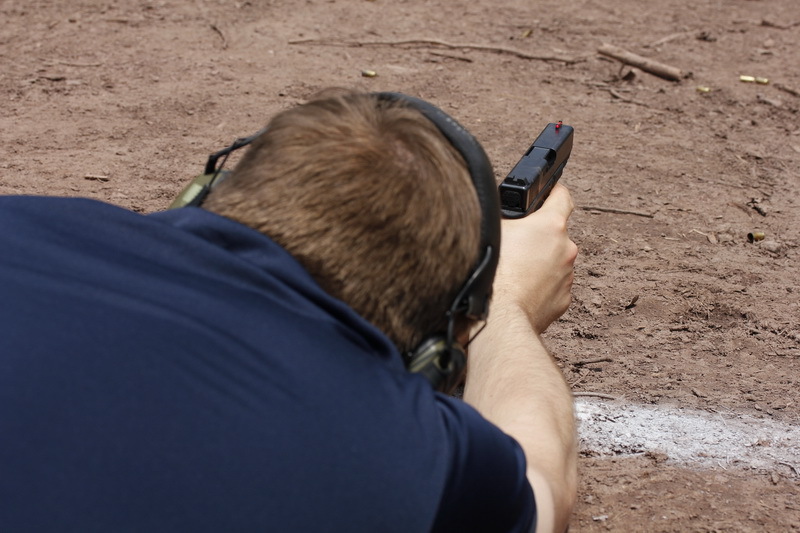 My pistol skills were tested and bench-marked, I now have a good solid idea of where I stand and what I need to do in order to progress. The class was enjoyable and not round count heavy. 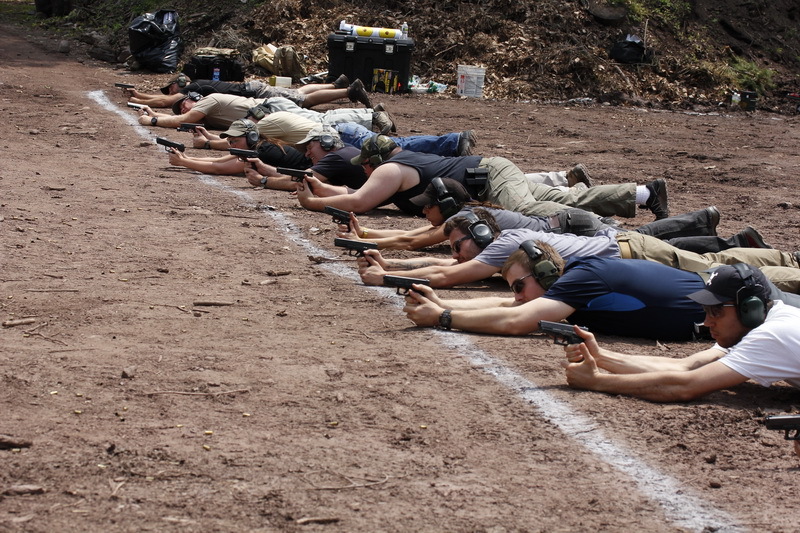 I believe we were just shy of 550 rounds spent during both days, the majority spent on day two with the time-related drills. There was no overload of information, no crazy manipulations of equipment/pistols, just fundamentals and solid skill set development. 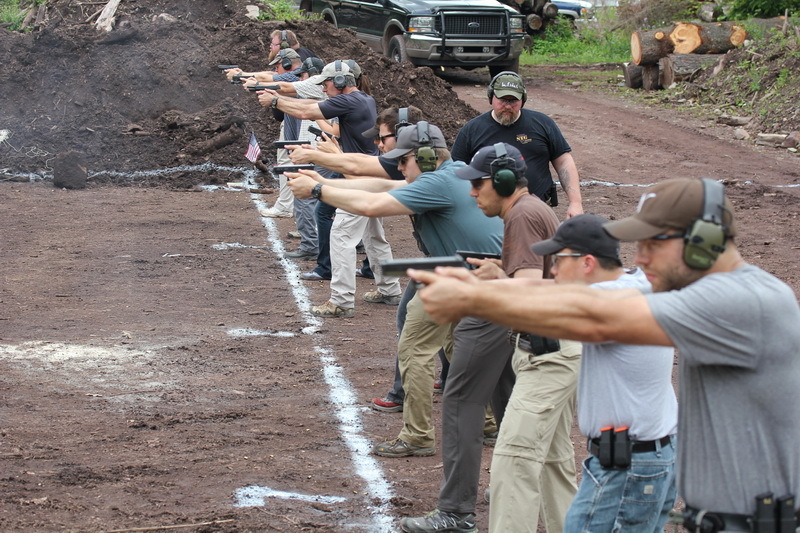 I would highly recommend taking this pistol course and working to make all the student standards so that you make it into the Warrior Pistol 2.0 course, which is not an automatic entry just for attending 1.0. Tom was very serious about meeting the standards.